“No one in the world knows what we’ll find,” says cosmologist David Hogg of New York University. "The observations collected by Gaia are redefining the foundations of astronomy," adds Günther Hasinger, ESA Director of Science. “It’s like waiting for Christmas,” said Vasily Belokurov, an astronomer at the University of Cambridge in the United Kingdom last week. Today, reports Science, "the gifts arrived: the exact positions, motions, brightnesses, and colors of 1.3 billion stars in and around the Milky Way, as tracked by the European Space Agency’s (ESA’s) €750 million Gaia satellite, which after launch in 2013 began measuring the positions of stars and, over time, how they move." One might think that the galaxy is completely mapped. 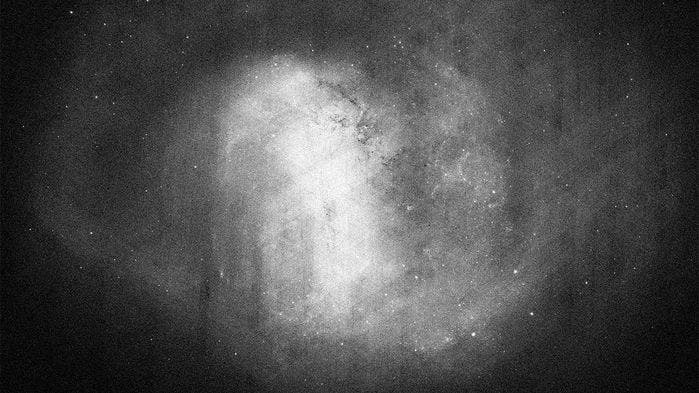 Large parts of the Milky Way it are obscured by gas and dust, and it is hard to discern structure from the vantage of the solar system. Gaia is not only expected to clarify the spiral structures of the galaxy today, reports Science, but because the satellite traces how stars move, astronomers can wind the clock backward and see how the galaxy evolved over the past 13 billion years—a field known as galactic archaeology. Today, 25 April, ESA made Gaia’s second data set—based on 22 months of observations—publicly available, which should enable a precise 3D map of large portions of the galaxy and the way it moves. “Nothing comes close to what Gaia will release,” Belokurov says. A multitude of discoveries are on the horizon after this much awaited release, including positions, distance indicators and motions of more than one billion stars, along with high-precision measurements of asteroids within our Solar System and stars beyond our own Milky Way Galaxy. Gaia was launched in December 2013 and started science operations the following year. The first data release, based on just over one year of observations, was published in 2016; it contained distances and motions of two million stars. "The observations collected by Gaia are redefining the foundations of astronomy," says Günther Hasinger, ESA Director of Science. "The second Gaia data release represents a huge leap forward with respect to ESA’s Hipparcos satellite, Gaia’s predecessor and the first space mission for astrometry, which surveyed some 118 000 stars almost thirty years ago," says Anthony Brown of Leiden University, The Netherlands. Anthony is the chair of the Gaia Data Processing and Analysis Consortium Executive, overseeing the large collaboration of about 450 scientists and software engineers entrusted with the task of creating the Gaia catalog from the satellite data. But there is more: this unique scientific catalog includes many other data types, with information about the properties of the stars and other celestial objects, making this release truly exceptional. Further afield, Gaia closed in on the positions of half a million distant quasars, bright galaxies powered by the activity of the supermassive black holes at their cores. These sources are used to define a reference frame for the celestial coordinates of all objects in the Gaia catalog, something that is routinely done in radio waves but now for the first time is also available at optical wavelengths. Major discoveries are expected to come once scientists start exploring Gaia’s new release. An initial examination performed by the data consortium to validate the quality of the catalog has already unveiled some promising surprises – including new insights on the evolution of stars. "The new Gaia data are so powerful that exciting results are just jumping at us," says Antonella Vallenari from the Istituto Nazionale di Astrofisica (INAF) and the Astronomical Observatory of Padua, Italy, deputy chair of the data processing consortium executive board. "For example, we have built the most detailed Hertzsprung-Russell diagram of stars ever made on the full sky and we can already spot some interesting trends. It feels like we are inaugurating a new era of Galactic archaeology." Named after the two astronomers who devised it in the early twentieth century, the Hertzsprung-Russell diagram compares the intrinsic brightness of stars with their colour and is a fundamental tool to study populations of stars and their evolution. A new version of this diagram, based on four million stars within five thousand light-years from the Sun selected from the Gaia catalog, reveals many fine details for the first time. This includes the signature of different types of white dwarfs – the dead remnants of stars like our Sun – such that a differentiation can be made between those with hydrogen-rich cores and those dominated by helium. Combined with Gaia measurements of star velocities, the diagram enables astronomers to distinguish between various populations of stars of different ages that are located in different regions of the Milky Way, such as the disc and the halo, and that formed in different ways. Further scrutiny suggests that the fast-moving stars thought to belong to the halo encompass two stellar populations that originated via two different formation scenarios, calling for more detailed investigations. "Gaia will greatly advance our understanding of the Universe on all cosmic scales," says Timo Prusti, Gaia project scientist at ESA. "Even in the neighborhood of the Sun, which is the region we thought we understood best, Gaia is revealing new and exciting features." For a subset of stars within a few thousand light-years of the Sun, Gaia has measured the velocity in all three dimensions, revealing patterns in the motions of stars that are orbiting the Galaxy at similar speeds. Future studies will confirm whether these patterns are linked to perturbations produced by the Galactic bar, a denser concentration of stars with an elongated shape at the centre of the Galaxy, by the spiral arm architecture of the Milky Way, or by the interaction with smaller galaxies that merged with it billions of years ago. At Gaia’s precision, it is also possible to see the motions of stars within some globular clusters – ancient systems of stars bound together by gravity and found in the halo of the Milky Way – and within our neighboring galaxies, the Small and Large Magellanic Clouds (shown at top of the page. Gaia data were used to derive the orbits of 75 globular clusters and 12 dwarf galaxies that revolve around the Milky Way, providing all-important information to study the past evolution of our Galaxy and its environment, the gravitational forces that are at play, and the distribution of the elusive dark matter that permeates galaxies. 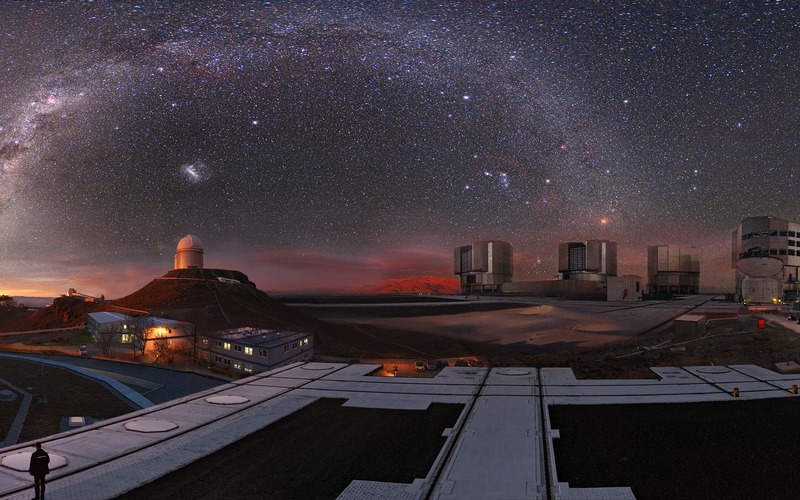 "Gaia is astronomy at its finest," says Fred Jansen, Gaia mission manager at ESA. "Scientists will be busy with this data for many years, and we are ready to be surprised by the avalanche of discoveries that will unlock the secrets of our Galaxy." Gaia was originally planned for a five-year mission, operating until mid-2019. ESA has already approved an indicative extension until the end of 2020, which is up for confirmation at the end of this year. 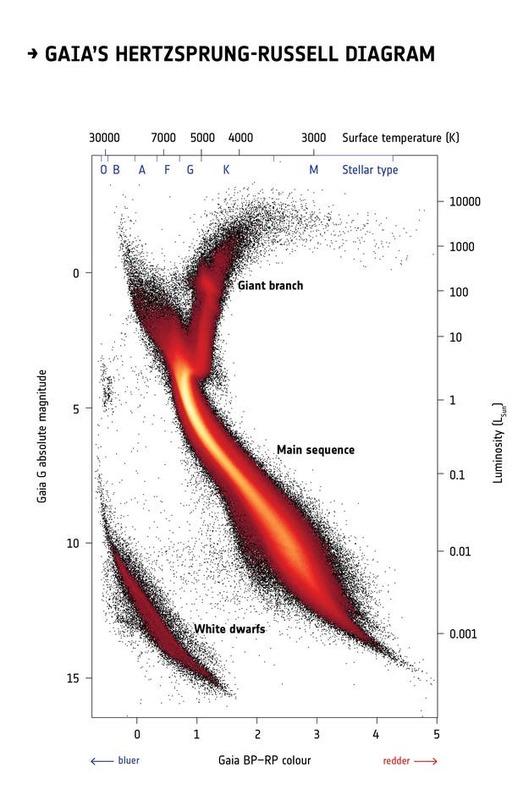 This Hertzsprung-Russell diagram, obtained by a selection of stars in Gaia's second release catalogue, is the most detailed to date made by mapping stars over the entire sky, containing roughly a hundred times more stars than the one obtained using data from ESA's Hipparcos mission, the predecessor of Gaia, in the 1990s. This new diagram contains so much highly accurate information that astronomers have been able to identify fine details that were never before seen. The Hertzsprung-Russell diagram can be imagined as a stellar family portrait: stars are plotted according to their colour (on the horizontal axis) and brightness (on the vertical axis) and are grouped in different regions of the diagram depending mainly on their masses, chemical composition, ages, and stages in the stellar life cycle. Information about stellar distances is fundamental to calculate the true brightness, or absolute magnitude, of stars. Brighter stars are shown in the top part of the diagram, while fainter stars are in the lower part. Bluer stars, which have hotter surfaces, are on the left, and redder stars, with cooler surfaces, on the right. The colour scale in this image does not represent the colour of stars but is a representation of how many stars are plotted in each portion of the diagram: black represents lower numbers of stars, while red, orange and yellow correspond to increasingly higher numbers of stars. The large diagonal stripe across the centre of the graph is known as the main sequence. This is where fully-fledged stars that are generating energy by fusing hydrogen into helium are found. Massive stars, which have bluer or whiter colours, are found in the upper left end of the main sequence, while intermediate-mass stars like our Sun, characterised by yellow colours, are located mid-way. Redder, low-mass stars are found towards the lower right. As stars age they swell up, becoming brighter and redder. Stars experiencing this are shown on the diagram as the vertical arm leading off the main sequence and turning to the right. This is known as the red giant branch. While the most massive stars swell into red giants and explode as powerful supernovae, stars like our Sun end their days in a less spectacular fashion, eventually turning into white dwarfs – the hot cores of dead stars. These are found in the lower left of the diagram. The huge leap from Hipparcos to Gaia is especially visible in the white dwarf region of the diagram. While Hipparcos had obtained reliable distance measurements to only a handful of white dwarfs, more than 35 000 such objects are included in this diagram based on Gaia data. This allows astronomers to see the signature of different types of white dwarfs such that a differentiation can be made between those with hydrogen-rich cores and those dominated by helium.